A dream that was planted more than 10 years ago on the breezy hills of Vaitele came into fruition last Saturday. With a total construction cost of $910,320.63, Le Aura Inn sits on a one-acre land overlooking the surrounding Vaitele vicinities with a great sea view. Owner, Fuimaono Taliilagi Aukuso Setu of Salani Falealili and Vailoa Aleipata, worked in Samoa for many years before deciding to travel to New Zealand where he worked as a professional painter for more than 10 years. 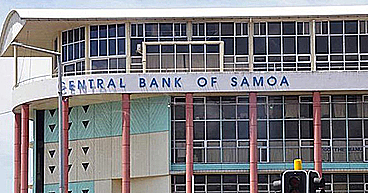 Fuimaono later travelled to Brisbane, Australia where he currently resides with his wife Silipi Setu, from Sili, Savaii. He told the Business team that it has always been his dream to return to Samoa and build a holiday home where he can enjoy when he retires with his wife and family. “It took me more than five years to complete this because I strongly believe that Rome wasn't built at once. And a journey of a thousand miles starts with one step,” Fuimaono said. 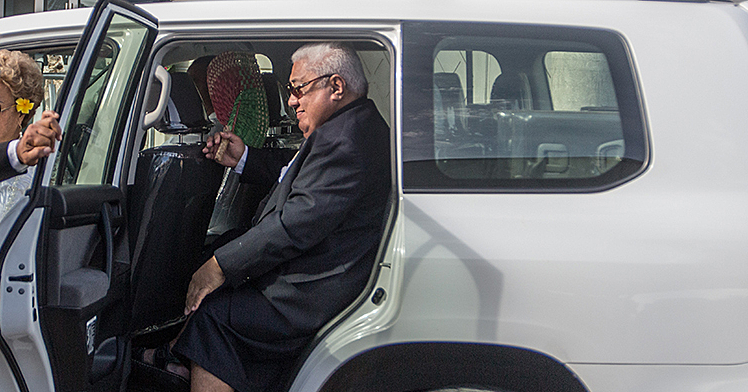 The owner of Le Aura Inn believes that the chance to operate a sole owned business in Samoa is a privilege and golden treasured blessing from God. While many would prefer a modern exterior and interior design, Fuimaono believes in upholding tradition. The design of his accommodation is very simple with a touch of both worlds – modern and traditional designs. 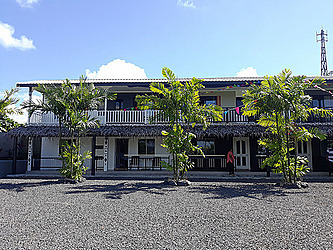 Le Aura Inn is more than just an accommodation, and according to Fuimaono, the hotel is giving their full support to the Ministry of Natural Resources and Environment and S.P.R.E.P. in reducing the use of plastic bags. “In saying that, during our grand opening last Saturday, foods were buffet served in Mailo and coconut cups etc. “As we progress, all our events, which will be held in our premises, will be served traditionally to promote the condemnation of plastic usage around our beautiful island of Samoa. 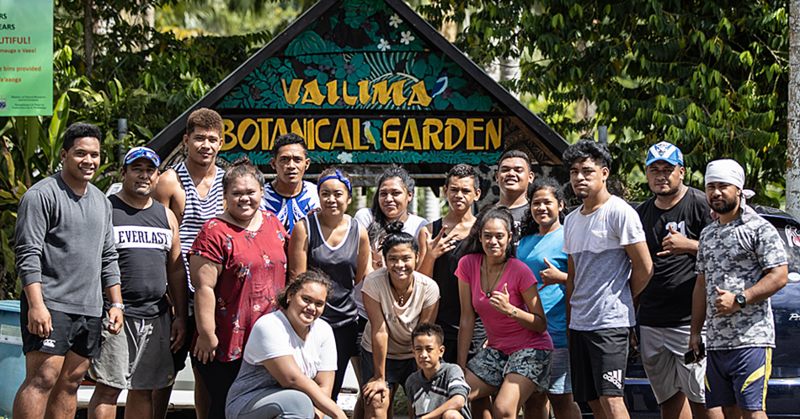 “Le Aura believes environment is one of the main aspects, which attracts tourists into our shores, and with that we want to be the first to impact our guests when touching our shores the need to reduce the use of plastics,” Fuimaono said. Le Aura Inn houses 14 rooms with seven country view rooms, seven garden rooms, four family deluxe rooms, five double rooms and five single rooms. All rooms are air conditioned with fans, a fridge, microwave and electric kettle. Prices for each room depend on the customers’ choice and how long they will stay. Fuimaono said there is a staff of seven already working at the accommodation. Further development plans for the hotel includes the extension of its cafeteria, pool and hiring of more employees.